"Great for first time users"
I especially love the ease of being able to share software with others that are searching for specific software. Being able to browse the library for featured software. I like how organized the website is, and the options for being able to download free and paid software as well as review and see the reviews of others before trying. Seeing the reviews of others makes it even more trustworthy and easy to use. There's nothing I'd change, I love seeing this website grow over the years. Been a long time user for many years and have never had any issues. Never would have thought the website would have grown into a domain host as well. The many features of this site has impressed me. Tucows is a great site to help promote your software or business. They have extensive libraries full of software for every need and with trusted reviews you are sure to always have the best software on the market. I have used them many years and am happy to see how well they have grown, always offering the best features. Using Tucows has helped me share my software and software that I've used with others. Tucows has a great way of organizing software by category which makes it easy to find what you are looking for. As well as the features of being able to purchase a domain name though them, a site that has been trusted by me and many other users over the years. "It's a reliable page for software downloads"
Always the downloads have worked quite well so I can't say that there's something that I dislike. I recommend it as one of the most reliable sites for software downloads. This website is the first place where I download any software that I need. From accounting software to screen protectors. Nowadays, not all download sites are reliable, but Tucows has so many years on the Internet that I don't fear that my PC will be damaged by a virus. I like the organization and synchronization of the software that makes it easier for all for access even for the beginners. It is free for download and reviews by others assist you in building more trust on software. For me the setup was very easy and downloads were quick so I don't have any sort of disliking about it yet. A good software for business. Helps you in quick and safe software downloads. They have extensive library that helps you in downloading the stuff you want so have got a lot of choice. It is very much user-friendly and good. For downloading it is very handy and useful. Nowadays all downloads are not much reliable but it helps you a lot by quickly detecting if any malware or virus is present. Thus it is a good one. 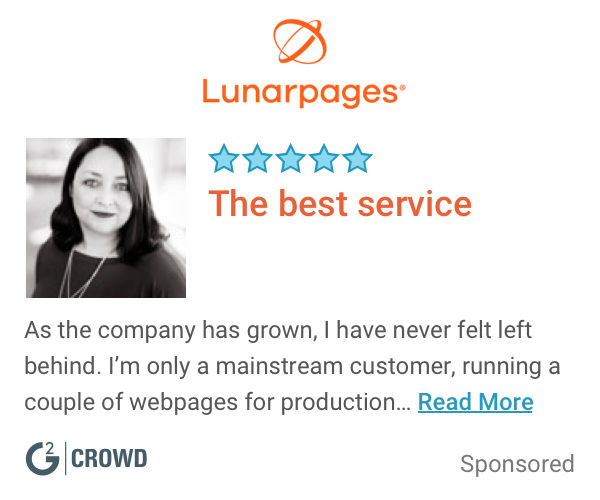 "Makes purchasing domains a pleasure"
Tucows, or more specifically Hover, their subsidiary, is the only place I feel comfortable purchasing domains. They don't try to up-sell or use shady business tactics, unlike many other registrars. Their prices are always reasonable, and they frequently have sales. They are also very good at taking care of DNS issues. There isn't much to dislike - managing domains and configuring DNS is never particularly fun, but Tucows does better than all other registrars. Use Hover - it's their best subsidiary to use if you're looking for Domains and Email. "A bit of a pain to deal with"
Tucows has been around for a long, long time and was the first domain registrar I ever used. But it wasn't the last. Dealing with Tucows often felt antiquated and needlessly complex. Other registrars were able to capitalize on this to swoop in and take clients, including me. We no longer use Tucows, but when we did, it was exclusively for the registrar services. Trying programs like Active Undelete has helped out a few users who thought there files were unrecoverable whether from an external drive or flash media. Easy site to navigation. It is an excellent place to find the software you need. Dealing with Tucows often felt antiquated and needlessly complex.There's nothing I'd change, I love seeing this website grow over the years. We no longer use Tucows. From accounting software to screen protectors. Domain management offered good features for support team and clients we managed domains for in self storage and small business. We used tucows for sometime before switching to open Srs for more broad perspectives.. I have used Tucows for years. It is an excellent place to find the software you need. Have had times when I couldn't find the software I needed, but that was a rarity. Looking for software, look through Tucows. Wide variety of software available; lower costs. It is easy and quick to lookup whois details about a particular domain. The UI looks outdated and the site can be hard to navigate. We have used it to lookup domain names to check which registrar they are on. "Good services all around, exceptional hosting "
* We monitor all Tucows reviews to prevent fraudulent reviews and keep review quality high. We do not post reviews by company employees or direct competitors. Validated reviews require the user to submit a screenshot of the product containing their user ID, in order to verify a user is an actual user of the product. Hi there! Are you looking to implement a solution like Tucows?